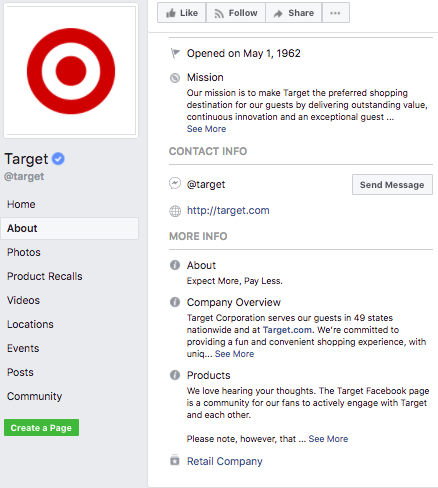 Getting verified on Facebook is a great way to establish brand credibility online. Both large brands and local businesses can be verified on the platform. The gray or blue verified badge lets your audience know you’re authentic and helps your page show up higher in search results so potential customers can easily find your business. 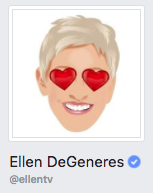 Which Facebook verification badge is right for you? 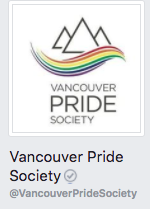 There are two types of Facebook verification badges, so you want to make sure you apply for the right one. If you are a public figure, media company, or large brand, you can apply for the blue verification badge. If you are a smaller or local business or organization, you can apply for the gray verification badge. 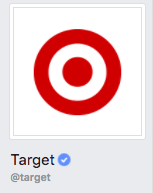 For businesses with multiple brick and mortar shops and a Facebook Page for each, you can add the gray verification badge to Pages for specific locations. The Facebook verification process has some requirements that need to be fulfilled before you can receive that coveted blue or gray checkmark. Take a look at your business’ page through the eyes of a potential customer and edit or remove anything that looks less-than-professional. Once you’ve filled out as much information about your business as possible (and check that it’s up to date), you’re ready to apply for verification. 4. You will have the option for an instant or more detailed verification process. 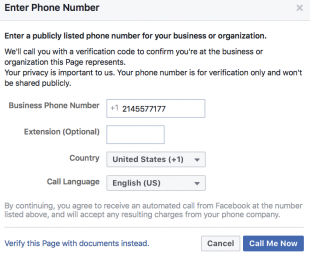 The instant verification choice gives you the option to have Facebook call the phone number you have listed on your business Page. You’ll be given a verification code, which you’ll enter into the box Facebook provides you with. 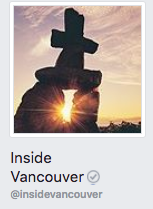 Then Facebook will award you with the appropriate verified checkmark. 5. If you choose the more detailed option, click on Verify this Page with documents instead. When prompted, upload a picture of the official document that clearly shows your business’s name and address. For example, an internet bill will work here. Anything that gives your brand added credibility is worth pursuing. 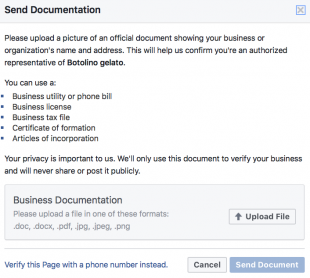 Follow the steps above to get verified on Facebook—and see your business grow.